Ever since I noticed that there were going to be Gruffalo trails in forests around the UK, I knew we’d have to go on one. We missed the Stick Man trails, and N does love Julia Donaldson books, and The Gruffalo film so we were going to have to get to one of them. 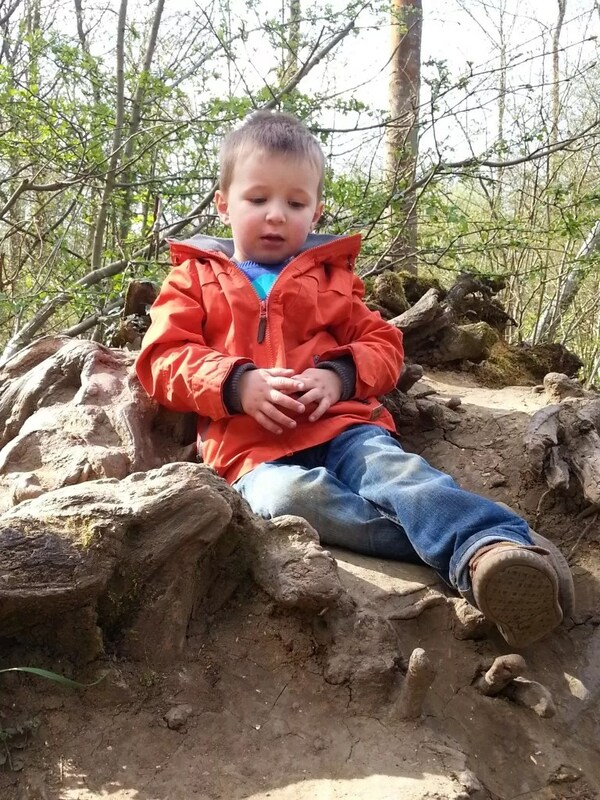 I had made the mistake of telling N about the trails some time before they opened as well, so he kept telling me we were going to find The Gruffalo, but how he was still sleeping so he wasn’t going to be at the woods at an earlier date. But the trails opened this weekend, so we had it in the diary. I think maybe we built it up a bit too much, as I think we were hoping for an awful lot when we got there. 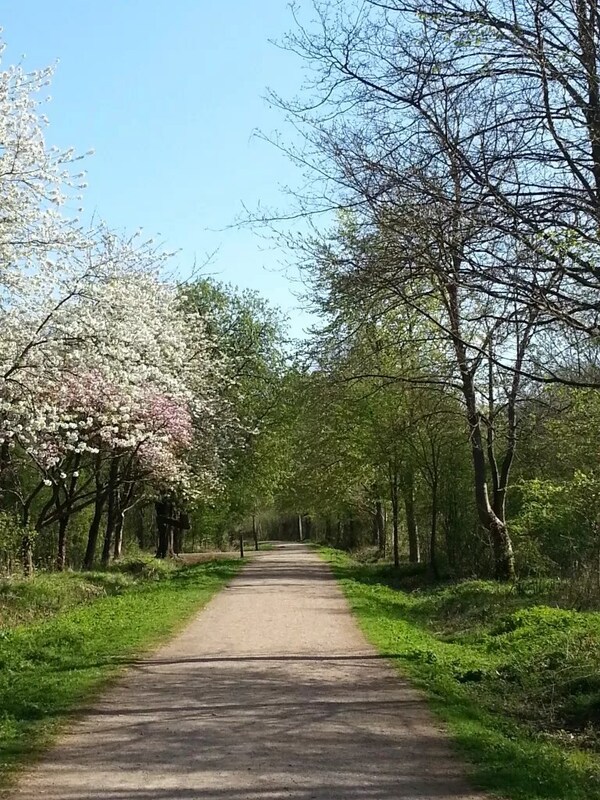 I had been planning on going to Wendover, but after realising I had only a 3 hour window to get to the farm shop in time, we decided that Salcey Forest might be a bit closer and get us back with some time to spare. I’d checked out the website in advance, and decided to pick up a map of the forest there as my printer is defunct, and made sure I had car park change. It turned out to be a beautiful day and we went early enough to miss most of the crowds until our final walk back to the car park. We spotted the start of the trail near the playground, but always one to want to check on things, I asked in the café for a map. All I can say is that the staff might need to take up some customer service training. There were no maps, you can pay £3 or take a photo of the large faded one on the side of the toilet block. The girl also didn’t tell me anything about the trail when I asked, just that there was an activity booklet for £2 (I took one of those because even though it looked a little old for N, I thought we might be able to use it when we’re reading the book and he’s a bit older) and it starts ‘over there’. The trail itself was a lovely walk. It was easy to follow and just the right length for N who wasn’t really that fussed about going off path into the woods, and just wanted to walk holding my hand most of the time. 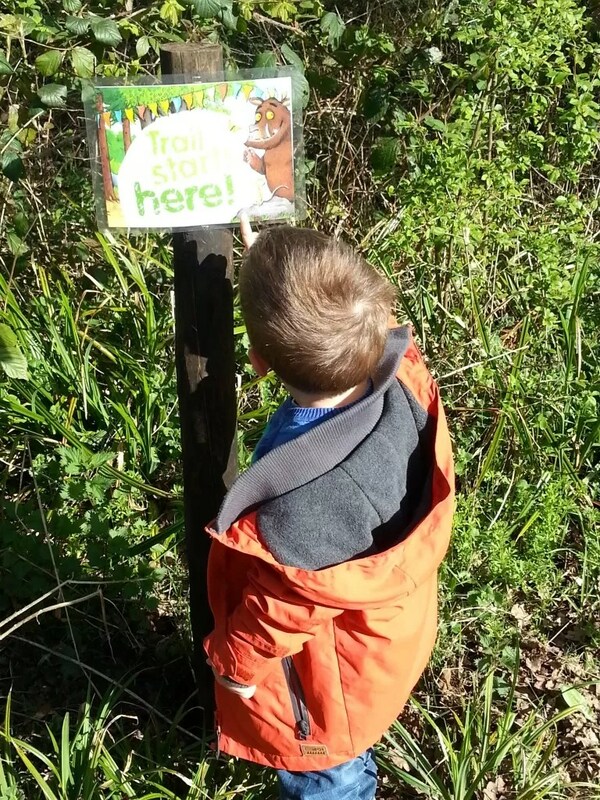 Every so often the trail notices would give suggestions for activities – matching animals in the book to their homes which N loved doing. Listened to the birdsong, and looked at the blossom on the trees. We also saw a huge tree that had been uprooted, and I explained to N about how trees got their food from the soil through the roots. There were lots of areas with rivulets and streams alongside the walk, so we had a look several times if we could see frogspawn or any water creatures, but the murky waters seemed a bit lacking. Maybe the next job is to try some pond dipping somewhere suitable. I did have a panic halfway round when N decided he wanted to wee. Thankfully we determined it was that and not the other, but he obviously didn’t want to do it in his pull up. So off behind some bushes as I tried to teach him how to pee both standing up and how to avoid getting his trousers wet. I think really that’s something his dad should be teaching him, but needs must. I think there was more effort involved than the actual output, but I’m hoping it’s progress on the vague toilet training attempts. We searched in the wood by a den for the Gruffalo but to no avail, and then found ourselves at the end of the trail, telling us ‘You did it’. Hmm, where’s the Gruffalo? I had been expecting at least a statue or model or anything signifying we’d found it, but nothing. On speaking to others who’d been on the trail at other forests, it seems that I should have read the website better as the Gruffalo isn’t actually turning up until June. I’d read it and thought that would be someone standing there, and there’d be a cut out or something until then. Otherwise, they may as well not bother starting the trail until it’s there. 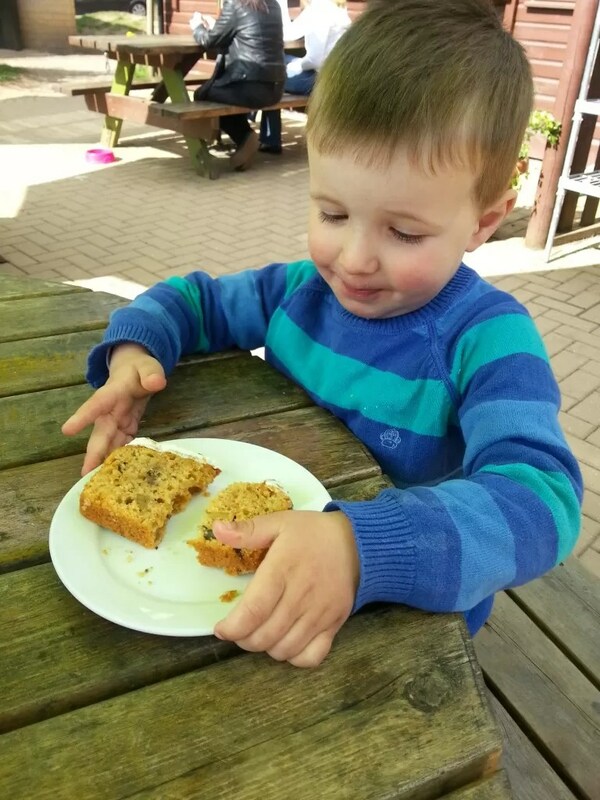 I’d promised cake in the café before we went home so had some delicious slices sitting outside in the sunshine. N was intrigued by the arrival of the Bedford road cycling club who turned up for their break at the café too. I’m not sure whether it was the tight outfits or the funny cycling shoes he was wondering about, but thankfully, none of them seemed to notice him gawping at them. As we headed off to the car, N remembered the playground, so we had to pay that a visit too. It’s definitely for older children, predominantly rope style bridges, and rope based climbing frame. There was one section I could let him do (once I’d lifted him up to it) standing behind in case he let go, some logs/planks in a tower he could climb and a ‘bowl’, but the rest wasn’t small enough for him. I think he’s going to be up for Go Ape when he’s older as he wanted to wander into the course as we were walking round the trail, so could be some fun places to take him when he’s older. Overall, we had a lovely walk, and it was great to see N exploring things that would usually be outside his comfort zone, but the trail was a bit of a damp squib. I also think they could have made some money and cashed in a bit on the link up with the Gruffalo. Yes the trail is free, but I was expecting to pay a small amount and get something at the end to say we’d done it. I was surprised there wasn’t a gift shop – they could have cashed in on the link up and sold the books, soft toys and other licenced products. Better for parents not having that kind of commerciality, but it doesn’t really make it that special without. Have you don’t one of these trails before? What advice would you give? Ah, shame we didn’t go to Wendover then. What’s the playground like there? Is it more suitable for younger children? What a disappointment not to have a Gruffalo at the end, as well as bad customer service! Putting that aside it looks and sounds like N had a fun time exploring what was on offer and trying his hand at the letter activity. Thanks for linking up and sharing with Country Kids. It was definitely still a lovely morning. Maybe we’ll make it back for another event later in the year. It was free, so I suppose you can’t really complain. He’s a bit young for (or didn’t want to do) the activities, but might try and get back later in the year. Yes, it was still a good day, and a nice walk. He got over it pretty quickly. It’s a great idea. 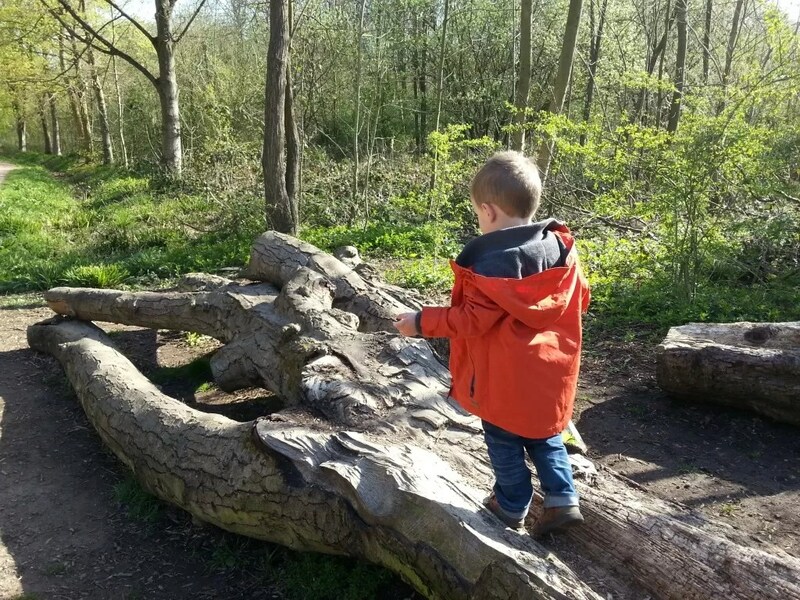 Hopefully once June hits, we might make it back again and explore the rest of the forest, and just check out the Gruffalo at the end! Lovely photos, but can understand your disappointment at not actually finding a Grufffalo. Also, the customer service does sound rather poor. By the time we heard about the Stick Man one, we didn’t have any free time to get to see it unfortunately. I think it’s a real shame they started it earlier, but it seems they’ve now been clearer about it on the website following complaints. The final board was a bit silly saying ‘well done, you’ve done it’ if you don’t see the Gruffalo at the end! 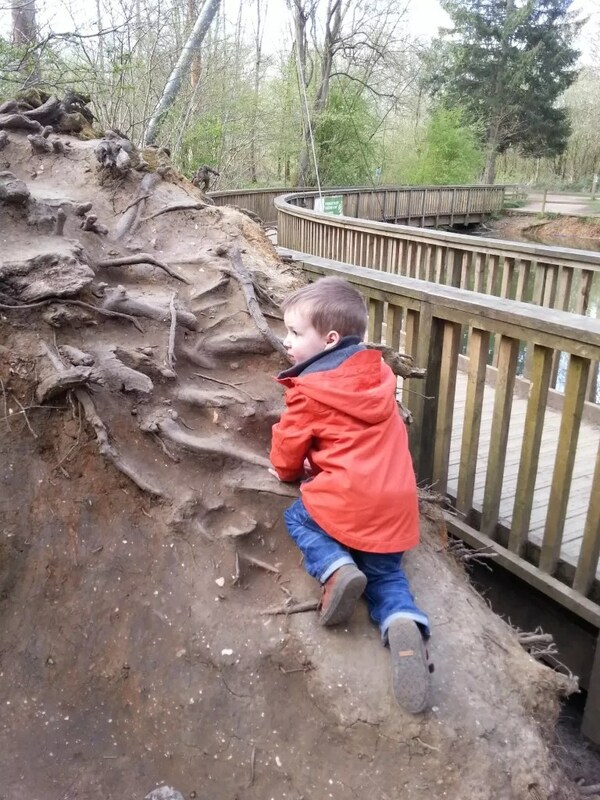 Thanks for the tip- we were going to go to Delamere next week but might wait til June after all! That’s ok. I should learn to read websites properly in future! I hadn’t really read it properly, but it seems lots of people have been and thought the same, so a bit silly really. Definitely nice to do but a bit of an anticlimax at the moment. 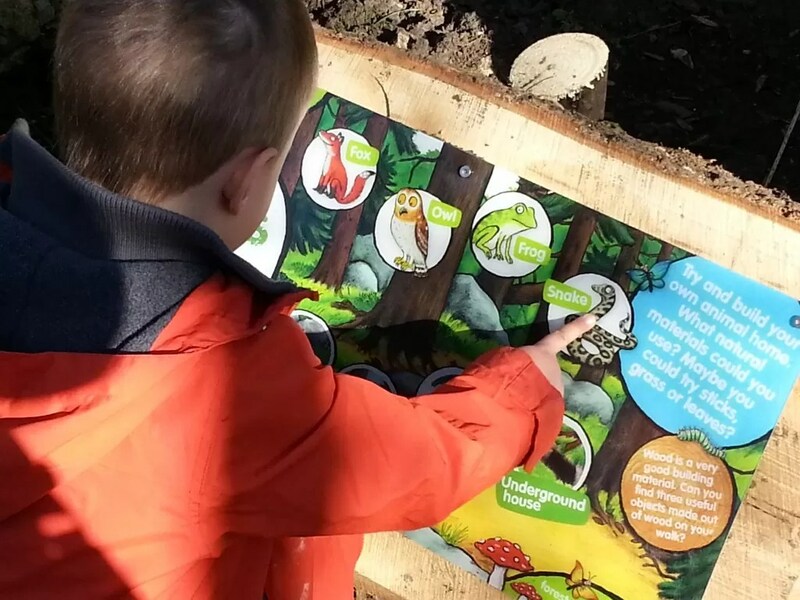 They relate it to the forest really well – linking in the story and animals to natural materials and activities. 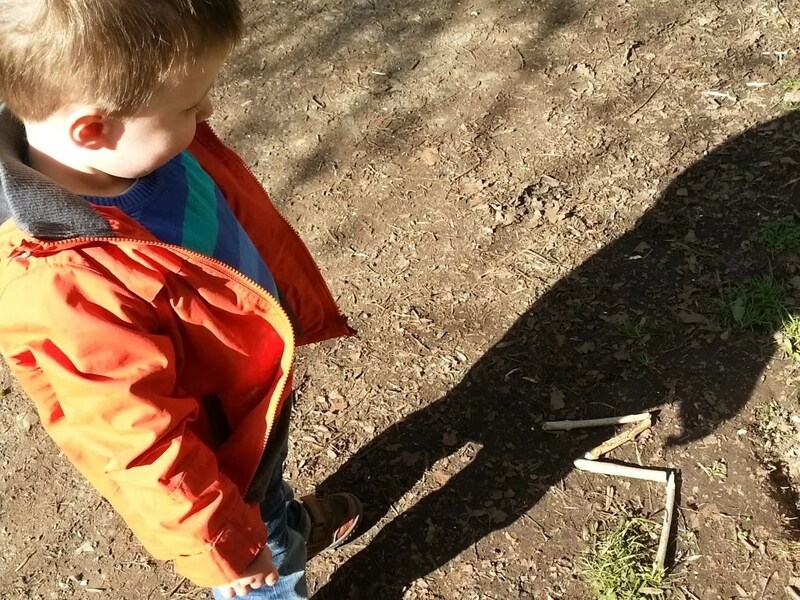 There had been Stickman trails earlier in the year, and later on there’s a Gruffalo’s Child one I think. We’re definitely fans of JD here too.